Record keeping hasnât been a strong point of the GAA in Araglen over the years, against this background outlining the history of Gaelic Games in the area isnât easy and the writer apologies in advance for an inaccuracies that follow. From what weâve been able to find out football or what passed for football at the time was the first of the Gaelic Games to be played in Araglen following the establishment of the association in 1884. Itâs likely an organisation such as the GAA would have appealed to a place like Araglen which always had a nationalistic outlook. We have some sketchy information about a football game being played in Joe Lomasneyâs Inch in the early part of the century. Itâs important to bear in mind that rules and regulations were a little loose, so much so that some early football games were held under what was referred to as rough and tumble rules. We know with some certainty that no team from Araglen was affiliated in the early 1900s, however, this didnât mean Gaelic Games werenât played in the area. The first team from the Araglen area to be affiliated to the North Cork Board were St. Michaels. This team drew the bulk of their players from the Kilworth side of Araglen and from Coolmohan National School. St. Michaels, called after a holy well in the area, affiliated in the mid 1940s. The emergency had ended at this stage and several men from Araglen who were interned during the second world war were released. These men would have played football during their time in confinement. The most prominent of them were Jack Allen, Maurice Casey and Joe Beary. It was common knowledge at the time that Maurice Casey had so impressed fellow inmates from Kerry that they were keen to have him transfer to the Kingdom, this never happened. Those that saw Maurice Casey play say he was an excellent player who excelled in the art of high fielding. St. Michaels won their first title in 1948. They had quality players like Pad Moore, Jimmy OâMahoney (Propogue) John Keane (Knockatrasnane), Pad OâBrien (Kilmurry) and Eoin Rice (Ballynamuddagh). The following year (1949) they reached the final again only to be defeated by Glanworth on a score line of 2 â 06 to 1 â 02, this game was played in Fermoy. By the early 50s they competed at junior A level, losing one and possibly two finals to Glanworth. The side was boosted considerably when Christian Brothers from Kilmurry House threw in their lot with the team. The juvenile side of things wasnât overlooked and a St. Michaelâs underage team won a North Cork title in 1953. The adult team regraded back to junior âBâ or ânoviceâ as it was known and won another title in 1955. Remarkably, it would take 50 years before Araglen would win their next adult football title, this was achieved in 2005 when Araglen, captained by Mayo, native, Paul Mulhern defeated Churchtown on a score line of 0 â 07 to 0 â 05 in Castletownroche (referee Danny Relihan). The selectors were Dinny Twomey and Alan Hegarty. The coach was John Donegan who also played on the team. The team did well in the county series of matches, inflicting a crushing 2 â 19 to 0 - 01 defeat on Crosshaven and accounting for Lyre in the semi-final 1 â 06 to 0 â 08. They lost in the final to a newly formed Dripsey side. Divisional championship success was to follow in 2008 (defeating Liscarroll, 1 â 09 to 0 â 07 in Kildorrery), again we progressed to a county final only to be beaten by Timoleague side, Argideen Rangers on Saturday 23rd August. The first Araglen team to contest a county final were the 12-a-side minor football team who lost out to Kilmeen in Douglas in 1994. The selectors were John Frewen, Mick Daly and Pad Ahern. If football was the game at one end of Araglen then hurling was the sport of choice for the men around Doon, Liss, Barnahown and Ballyheaphy. This demarcation was very pronounced and in the early days there was little interaction between the footballers from St. Michaels and Araglen Hurling Club. The club was able to draw players from Ballysaggart and Ballyduff in addition to being able to pick from home grown talent, most of whom attended Ballyheaphy National School. As a result the club did well. Players involved when Araglen Hurling Club was affiliated to the Waterford championship in the early 50s and even before this time were: the Hyland brothers â Dave, Mossy and James, Tom Hickey, Davy Aherne, Tom Foley, Peter Callaghan, Owenie Geary, Bill Scanlan (Tournageeha), Mick Kennefick, Paddy McGrath and Paddy Fennessy (all Ballysaggart), John Kearney (Doon) and Johnny Carey (Glenacunna). Araglen Hurling Club trained and played in McGrathâs Small Inch (near Kingston Bridge) and close by at the Furnace Inch. âWe started to hurl in Lyonsâ Field during the mid 50s. We played Araglen home and away several times â we could never beat them. Of all the teams we played they were the side I most respected. They were hard, fair and never dirty. Their best players were: John and Jimmy Donovan, Doc Callaghan, Eugene Hickey, Tommy Halloran, Jim Hynes, the Brownes and John Conlon. They played us on our field on one occasion, John Conlon, home from England was at full forward and scored a few goals. He gave and asked no quarter but after the game was humorous and affable, he was a true sportsmanâ. This informative publication tells us that it took until Sunday, 10th September 1972 before Ballygiblin recorded their first championship win over Araglen (3 â 07 to 1 â 11) in Kilworth. 1959 was a memorable year for Araglen Hurling Club. After coming close on several occasions, Araglen overcame Liscarroll in the final to claim the title of North Cork novice champions. Both Araglen and Liscarroll were promoted to junior âAâ. This was the highpoint for many of the players who had been with the club since its formation. A combination of retirements and emigration meant the 60s was a quiet time on the playing field, the nearest the hurlers came to success was in 1966 when they faced parish rivals, Kilworth in the North Cork junior âAâ final. Kilworth were crowned champions, however, they lost out to Kanturk in the county series of matches. In 1967 Fr. Finbar Kelleher arrived. A keen hurling enthusiast who was sympathetic to rural communities, the new curate had some interesting ideas about the development of Gaelic Games in Araglen. A year after his arrival (1968) he oversaw the amalgamation of Araglen Hurling Club and St. Michaelâs Football Club â it marked a new chapter for Gaelic Games in Araglen. At the time of the amalgamation the chairman of Araglen Hurling Club was Con Donovan, a native of Barnahown now living in Ballyporeen, his secretary was Bill Coughlan and the treasurer was Jimmy âMylesâ Donovan Sr. The St. Michaelâs Football Club secretary was Henry Daly, the treasurer was Michael Lyons. Another significant event took place in 1968 â the closure of Ballyheaphy National School â the last teachers were Mr. Gough and Mrs. Armstrong. On the role book that year were names such as the Hylands, Conlons, Feeneys, Kenneallys, Kearneys, Brunnocks, Careys, Lenihans, Drislanes and Powers â all Araglen families with a strong hurling tradition. Ballyheaphy N.S. had been a nursery for Araglen Hurling Club; it drew in potential players, trained them and got them ready to play for Araglen Hurling Club. As 1968 came to an end both Araglen Hurling Club and the source of so much of its talent, the national school in Ballyheaphy had ceased to exist. While it wasnât immediately obvious, the closure of Ballyheaphy N.S. was to have a detrimental effect on the future development of Gaelic Games, especially hurling, in Araglen. 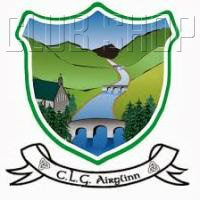 In theory the decision to amalgamate was a good one, Araglen was a thinly populated rural area and it was hoped the new club âAraglen GAA Clubâ would have a unifying effect on the area. The amalgamation wasnât without its difficulties, the subject of whether Araglen would be affiliated to Cork or Waterford has long been a bone of contention. The issue was a thorny one with both sides having understandably strong loyalties to both counties. In Araglen, itâs not just about Waterford and Cork, thereâs also the matter of Tipperary. When you consider there are very strong GAA clubs in Kilworth (Co. Cork), Ballygiblin (Co. Cork), Ballyduff (Co. Waterford) and Ballyporeen/Skeheenarinky (Co. Tipperary) bordering Araglen, itâs a tribute to members that Araglen GAA Club has been able to carve out an identity of its own. As the 70s approached the new Araglen GAA Club (now playing novice hurling and football) began to find its feet, infused with new talent, progress was made. The number of teams participating in the junior âBâ hurling championship of 1973 was 23. Ballygiblin, Kilworth, Grange, Ballyhooly, Glanworth were all in the running. When it came to the final only Araglen and Dromina were left standing, Araglen captained by Michael Lyons won by 3 points. It was a great win. The 80s didnât yield much in terms of silverware, however, the team kept plugging away at junior âBâ level. While results didnât go their way, the teamâs honesty and effort could not be faulted. Many fine players retired without having won a championship or league medal. More encouragingly was the emergence of a good juvenile side, under the guidance of Michael Fitzgerald and Emmet Allen, who won an U12 North Cork football final in 1982 and also reached the hurling final the same year. As the 90s approached success was proving illusive on the adult front but the juvenile club was still punching above its weight and titles were also being won at U21 level. By the end of the 1990s many of that team would achieve great things. 1999 was a never to be forgotten year, Kildorrery were overcome in the North Cork junior âBâ hurling final and Araglen went all the way to the county final where they beat Oliver Plunketts. It was a very proud captain, John OâBrien from Ballard who marched up the steps of Pairc Ui Chaoimh to accept the cup. This team was coached by Michael John Coffey with Bill Russell and Tony White the selectors. The hurlers progressed to play junior âAâ, however, in recent times they regraded and now compete in junior âBâ competitions. Araglen Ladies Fooball Club was formed in the 70s and disbanded in the 80s. Despite their brief history they were very successful. At their peak they had junior and senior teams and won several county titles. Some of their players represented Cork. They won the North Cork junior championship in November 1979 by beating Mitchelstown in Fermoy. The team that day was: Mary Farrell, Ann Hannon, Meg Condon, Eileen Daly, Catherine Farrell, Kathleen Lane, Catherine OâGorman, Terry Caplice, Ann White, Anne Feeney, Rose OâGorman, Breda Farrell, Angela Foley, Jean Broderick and Liz White â the subs were Liz Reidy, Eileen Cashman and Colette Hickey. The final score was Mitchelstown 2 â 01, Araglen 5 â 02. The Araglen scorers were: Anne Feeney (1 goal), Rose OâGorman (1 goal), Angela Foley (3 goals) and Liz White (2 points). They won a junior county title in 1982 by defeating Mitchelstown in Kilworth. The team that lined out that day was: Mary Farrell, Eileen Daly, Ann Hannon, Mag Barry, Kathleen Lane, Catherine Farrell, Ann Feeney, Terry Capice, Anne White, Helen Ahern, Eileen Doyle, Angela Foley, Noreen Kenneally, Liz Reidy and Breda Farrell. The subs used were: Una Barry for Angela Foley, Margaret Aherne for Liz Reidy, other subs D. Hickey and E. Cashman. The final score was Araglen 3 â 04 Mitchelstown 1 â 01. The match took place on the 28th August 1982. At the 1980 AGM, the following officers were elected: President (Mike Daly), Chairman (Willie White), Vice Chairperson, Kathleen Lane, Secretary (Anne White), Assistant Secretary (Kathleen OâGorman), Treasurer (Anne White) and PRO (Kathleen OâGorman). Selectors for the teams were: Mike Daly, Jack Farrell and Anne Feeney. Thanks to Ann Condon (White) for submitting information for this article. Araglen Camogie Club was started during Fr. Kelleherâs time. This publication includes a picture from that era. Mick Daly from Lyrebarry trained the team. They played teams such as: Fermoy, Churchtown and Kanturk, they got to a county final against Ovens but lost â this was an eventful game. Dolly Lomasney (Beary) was one of their best players.